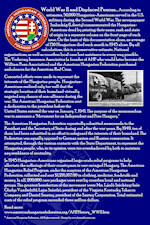 AHF Featured Member: Charles Farkas and "Vanished by the Danbe"
"Vanished by the Danube: Peace. 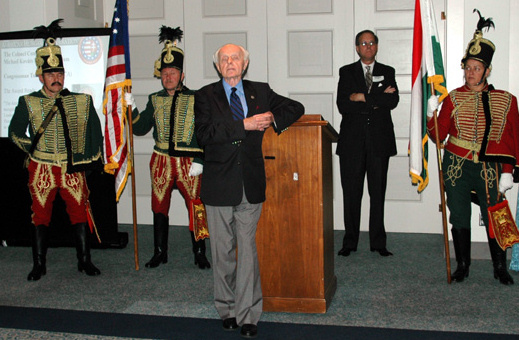 War, Revolution, and the Flight to the West," by Dr. Charles Farkas. Germany’s invasion of Hungary in 1944 marked the end of a culture that had dominated Central Europe from the nineteenth century to the middle of the twentieth. In this evocative memoir, Charles Farkas offers a testament to this vanished way of life—its society, morality, personal integrity, wealth, traditions, and chivalry—as well as an eyewitness account of its destruction, begun at the hands of the Nazis and then completed under the heel of Soviet Communism. 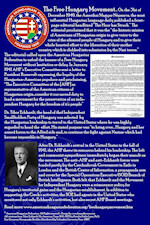 Farkas’s recollections of growing up in Budapest, a city whose grandeur embraced—indeed spanned— the Danube River; his vivid descriptions of everyday life in Hungary before, during, and after World War II; and his ultimate fight to freedom in the United States, remind us that behind the larger historical events of the past century are the stories of the individual men and women who endured and, ultimately, survived them. 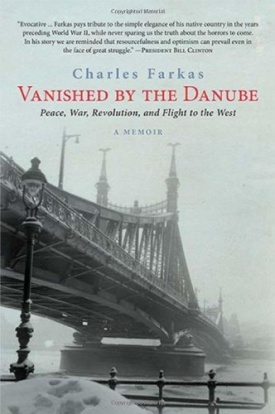 Charles Farkas has written his life story not as a Hungarian, but as a Hungarian American, which is to say that his memoir Vanished by the Danube is a kind of farewell to all that he and his family lost, but he is neither bitter nor mournful … this is the story of a lost world, but this is also a story about survival.” —from the Introduction by Margaret McMullan. “The great British-Hungarian author Arthur Koestler liked to tell of a conversation he had with an English journalist: ‘Oh, Mr. Koestler’—the journalist exclaimed—‘you have had a very colorful life.’ ‘No’—the author answered—‘it was only an East European life.’ The statement greatly applies to Charles Farkas’s autobiography: willy-nilly, he too underwent many adventures, some good some bad, but he always tells them with good humor and a profound understanding of human foibles. There is also great sympathy for the persecuted and the weak. All this is based on what seems to be a perfect recall of far-away events. 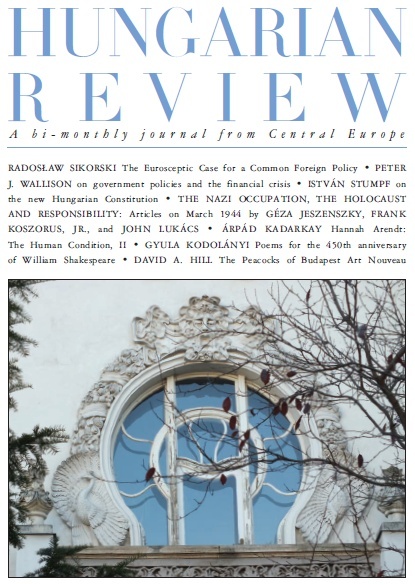 The story relates more than just the disappearance of old social classes; it also recounts what can happen to a small country, Hungary, when squeezed between two imperialist powers.” — István Deák, author of "The Lawful Revolution: Louis Kossuth and the Hungarians, 1848–1849"
Charles Farkas was born in 1925 in Budapest, Hungary. 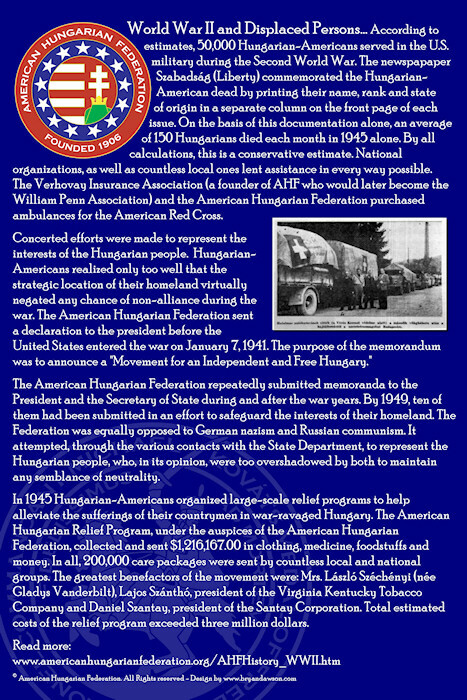 In 1949, he earned a double doctorate in law and political science from the University of Pázmány Péter. 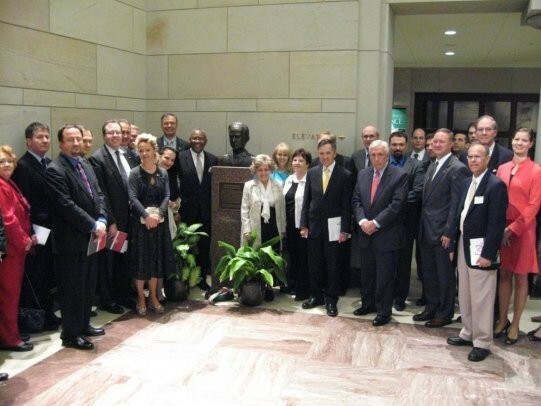 After the failure of the 1956 Hungarian uprising, Farkas fled Hungary for the United States, where he received a master’s in library science from Columbia University. 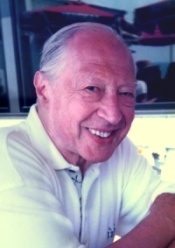 He went on to become director of the Briarcliff Manor Public Library, where he worked from 1968 until his retirement in 1996. He and his wife Edit live in Chappaqua, New York. They have four children and, as of early 2013, four grandchildren.